Porte-à-faux et d'autres choses, 2018. Staff (plaster, hemp cord), wood. Dimensions variable. Works in progress. I've been looking at the materials of the Exposition Coloniale of 1922 - a significant encounter between France and its colonies. Here, I've tried to employ a Benjaminian, allegoric conception of arches and passages. I've tried to reconfigure the materials and motifs of the Exposition Coloniale of 1922 to reassess their presence. Notebook of A, 2018. Art book published by L'Opuscule, launched July 14 at Tramway, Glasgow, UK. Arc Autoportant, 2016. Monnaie de Paris, Paris, FR. 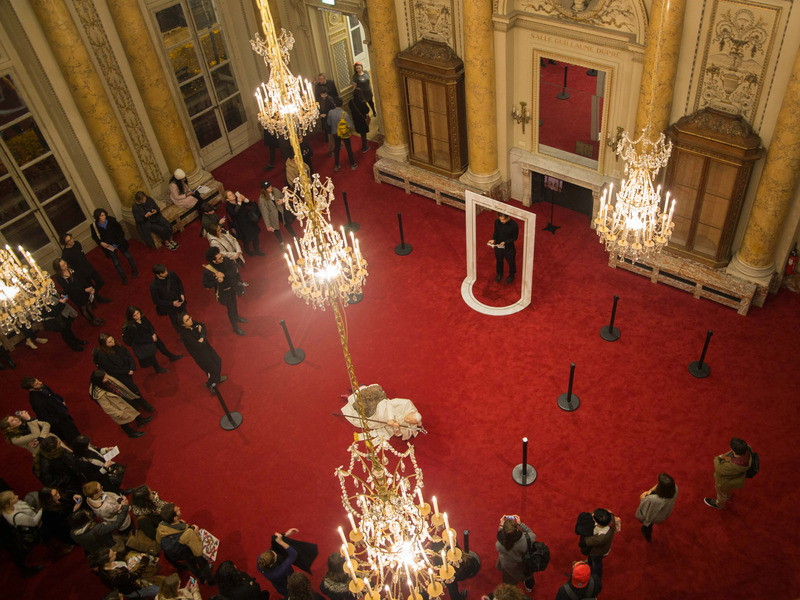 Installation and performance. Intervention curated by Katia Porro, Francesco Pastore, Margaux Salgado, and Forrest Pelsue for the Maurizio Cattelan exhibition 'Not Afraid of Love'. 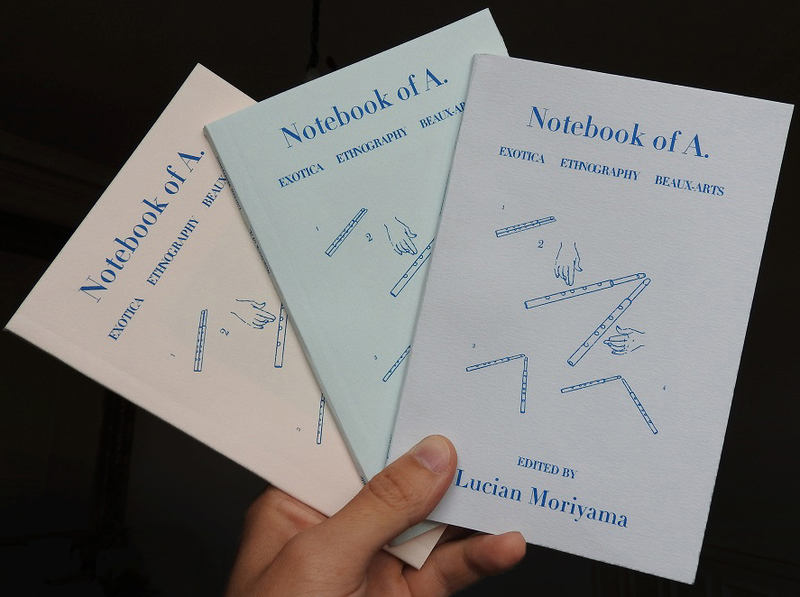 Lucian Moriyama (born Honolulu, 1991) is an artist and writer. He studied at the University of Glasgow and the École des Beaux-Arts de Marseille. His installations, publications, and documents are informed by cultural history and draw upon the playfulness, wit, and visionary fantasies of the exotic and the utopian.